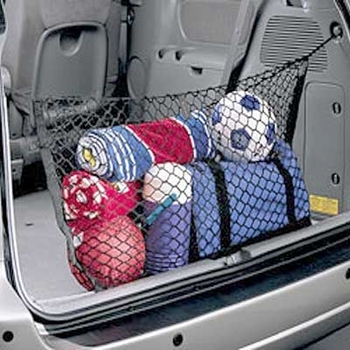 With this new built-in storage interior cargo net the uses are endless for your Toyota Sienna. With the addition of a large Toyota Sienna netted pocket style interior cargo net, you can imagine the possibilities. Keep fragile items safe in this secured Toyota Sienna interior cargo net. You can help keep your Toyota Sienna interior protected from cargo rolling around with this factory accessory cargo net.